Photos courtesy of Brian Roache. This card featured a six man tag team match and three other matches. In the first match, Dutch Schultz defeated Frankie Allman in a one fall match. In other matches, Odd Job Tosh Togo and Ripper Collins battled to a draw and Johnny Barend defeated Dean Higuchi with a body press and pin. Fans greet the Missing Link at start of the match. Link and Neff strut in the ring. 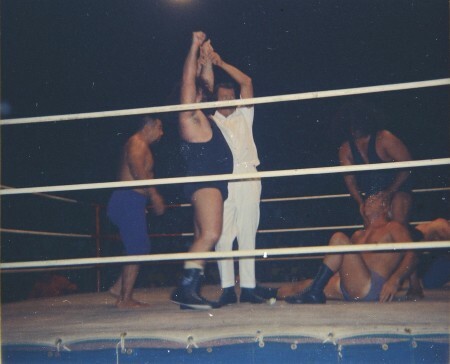 The main event featured a six man tag team match highlighting the return of Pampero Firpo, also known as The Missing Link, to Hawaii wrestling fans. The Missing Link had been wrestling on the mainland for the past nine months and fans were happy to see his return to action in Hawaii. 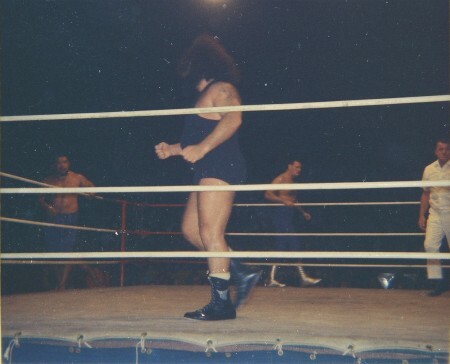 The Missing Link teamed with Neff Maiava and Jim Hady against the trio of Killer Kowalski, Angelo Poffo, and Kenji Shibuya. The match was two-out-of-three falls, or a one hour time limit. Link paces in the ring as Shibuya and Kowalski pace outside the ring. Jim Hady tries to get to his feet from the mat. 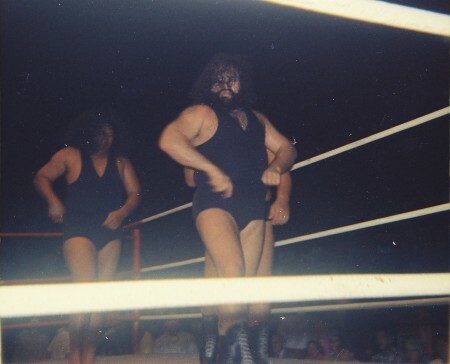 After both teams split falls, the team of The Missing Link, Maiava, and Hady were declared winners over Kowalski, Poffo, and Shibuya when Kowalski entered the ring illegally and was disqualified by referee Pete Peterson. Referee Pete Peterson raises the Link's hand after his team won a fall as Neff Maiava tries to wake up Angelo Poffo in the background. Rare shot of Hady and the Link after the match entering the Civic Auditorium locker room.